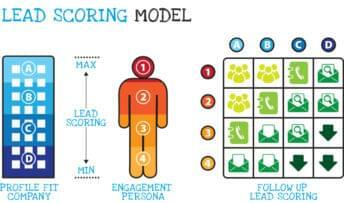 Qualified leads fall generally within a four quadrant matrix measured by fitness and interest. A ‘fit’ lead possesses explicit criteria similar to your hypothetical ideal customer. An interested lead demonstrates behavior along the same lines. Charted against two axes, with fitness and interest assigned to either axis, an MQL will fall in the upper right quadrant. The exit criteria for an MQL to become a Sales Accepted Lead is, of course, acceptance by the sales department. Congratulations! You closed the deal. But the job’s not done. Built into your sales process should also be the delivery and follow-up – ensuring that once the proverbial ink on the contract is dry, the customer is still happy. Salespeople know that effective follow-up can result in new connections and new leads, either within the customer’s company or outside it, if not immediately then possibly in the future. In addition, the customer should be reminded of what support options are available for the product or service they purchased. This stage is the last in the marketing and sales funnel.